The teaser for Megan Freels Johnston’s The Ice Cream Truck has landed on Vimeo, and it delivers the perfect mix of gore and camp. The folks over at ihorror.com have had the good fortune to follow this project from the beginning, and I highly encourage you to head on over there and read more about this cool movie. This teaser recalls many of my favorite types of subgenre horror films from the 80s. Back then, any occupation, lifestyle, life event, or holiday could be turned into a 90-minute thrill ride full of mayhem, gore, and guts. 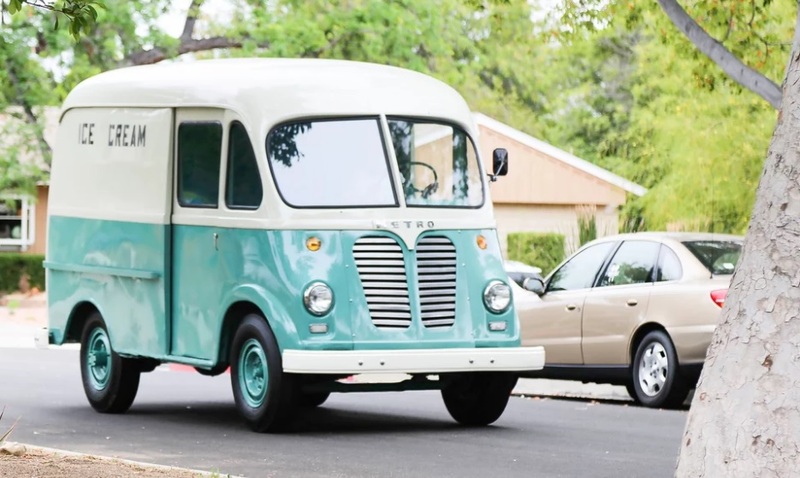 The Ice Cream Truck seems to be following in the footsteps of this great tradition, by making it’s baddie every child’s favorite friend, the ice cream truck man. I’m looking forward to seeing more revealed about this movie in the weeks to come. Also, can we talk about how awesome their poster is? I want to hang it on my wall! Check out the trailer below, and don’t forget to visit the movie’s official site for more details. Synopsis: Mary’s husband gets relocated for work which allows her to move back to her suburban hometown. As her family ties up loose ends back home, Mary moves into their new house all alone and ….waits. Although her familiar suburb is a constant reminder of her youth, something seems strange. A local Ice Cream Man with a love of nostalgia starts to kill some of her neighbors. Mary is torn between her mature instincts that something is wrong and the distracting memories of her younger days.